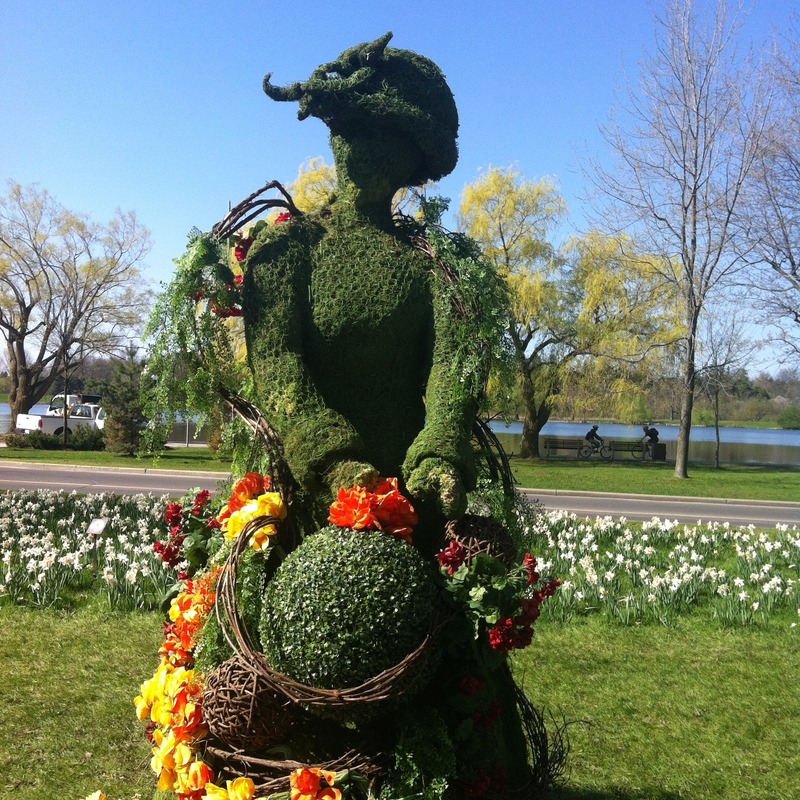 Although warmish spring weather has been reluctant to show itself around Ottawa, the delay has made the timing of the Canadian Tulip Festival and the tulip display a perfect match. The festival runs May 9-19th. My friend and I went for a stroll through the tulips yesterday. The sun was shining making the display particularly pretty. 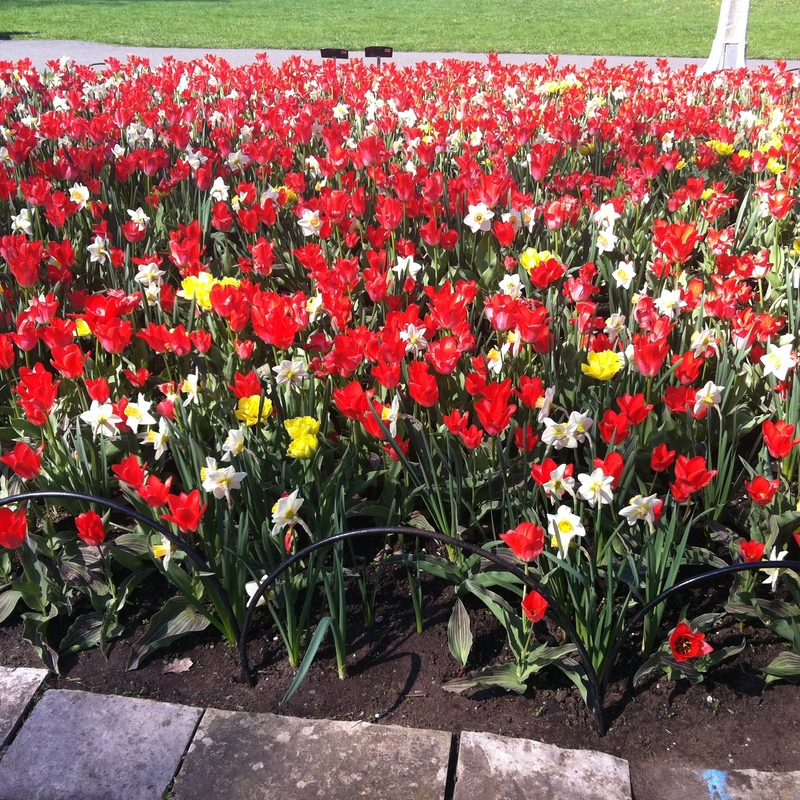 The beds of flowers and perennials at Dows Lake are beautiful and things are at the early end of their glory. 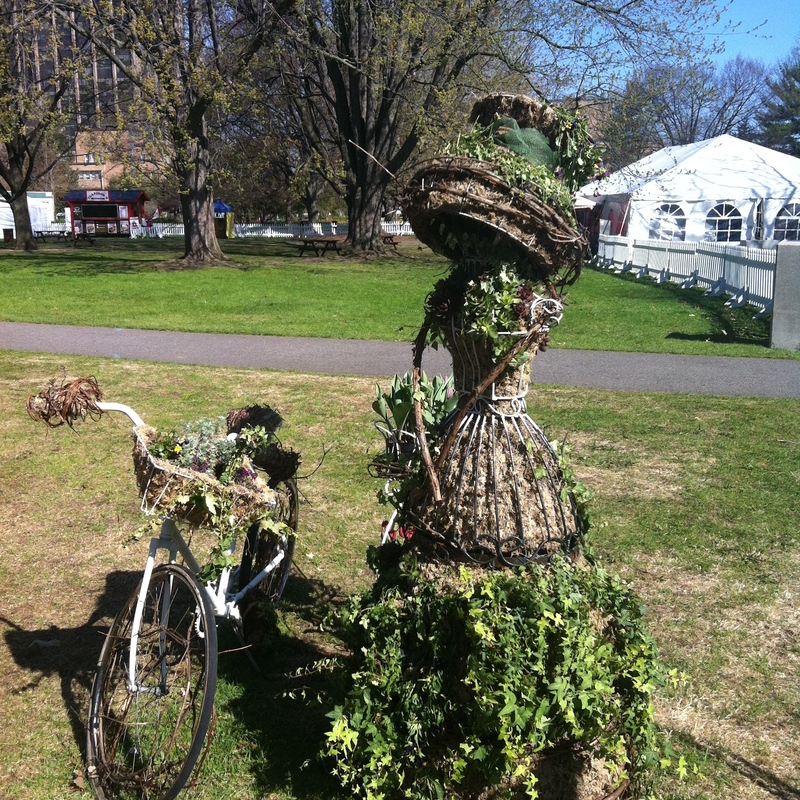 This year there are some outdoor sculptures/art interest features to add to the interest on your stroll through along the paths. 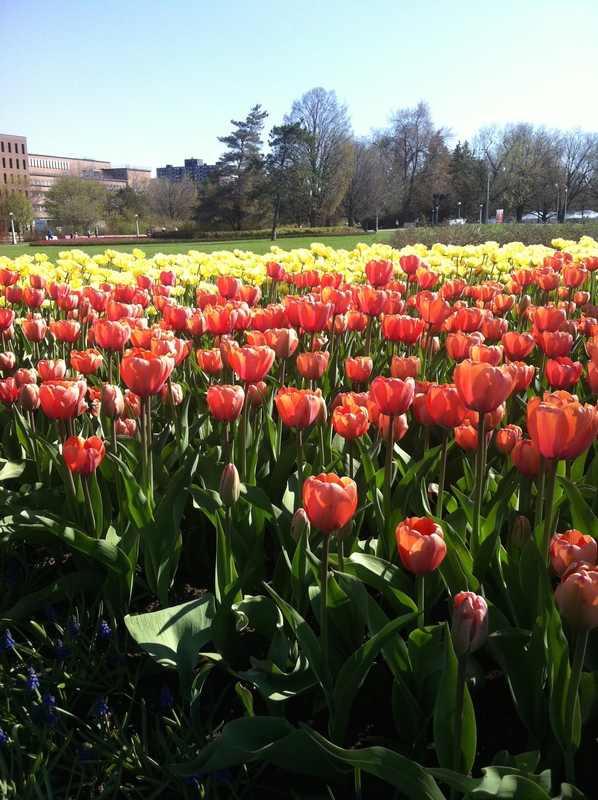 It is lovely to live close enough to the tulip festival to enjoy its beauty every year. It’s not early for tulips compared to other years we’ve been here. Just right really. Perhaps Liz would like to come out this way to do some outside work. Thank you for the other news. Fabulous shots, Barb! 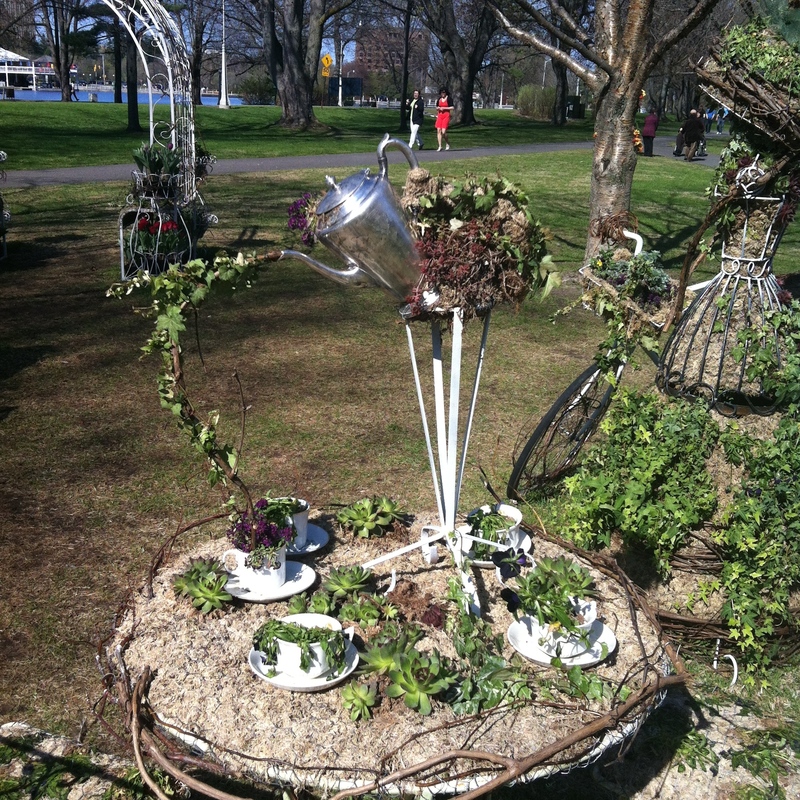 You have inspired me and I will stop by Dow’s lake when I am in town later today! And was a beautiful display? Great photos. And remember, she was only the gardener’s daughter but she knew where to plant her tulips. Gorgeous, gorgeous, gorgeous! My favourite flower. That is so fantastic. 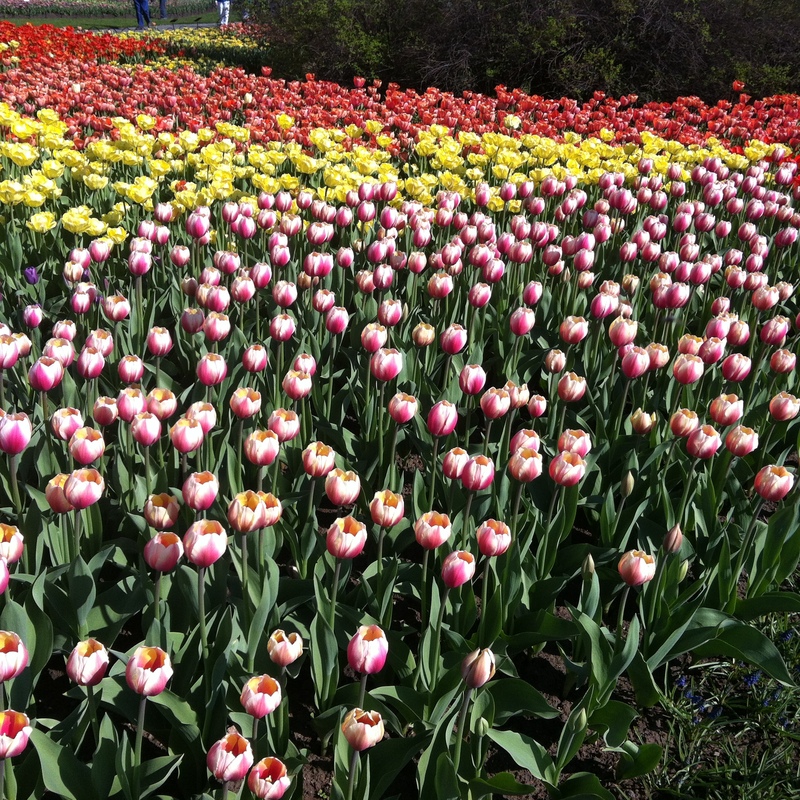 Consider a trip to Ottawa during Tulip Festival. Bring your camera. Your room will be ready.